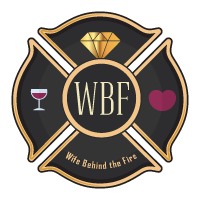 It’s not easy being a FireWife. It’s not easy to often think our feelings should be second to the greater good or that we are selfish because we want our spouse to be home with us and not out helping people. But, I’m here to tell you we aren’t second to anything and we never should feel that way. Take the next 30 days to prove to yourself that you deserve to be happy and find out why. Believe me, we’re going to make our FireLife all the better for being happier. When we are happy, we make those around us better people and happier. Don’t you want to spread the happiness around? This is a free challenge and I hope you will work on the quick action steps for the next 30 days and let me know the changes you see happen. I respond to all emails personally.